This logo is available as a .pdf file or as an Encapsulated PostScript (.eps) file. The News release Template is a 3-page, customizable document that could be used by a local government agency to draw attention to the need for pavement preventive maintenance. 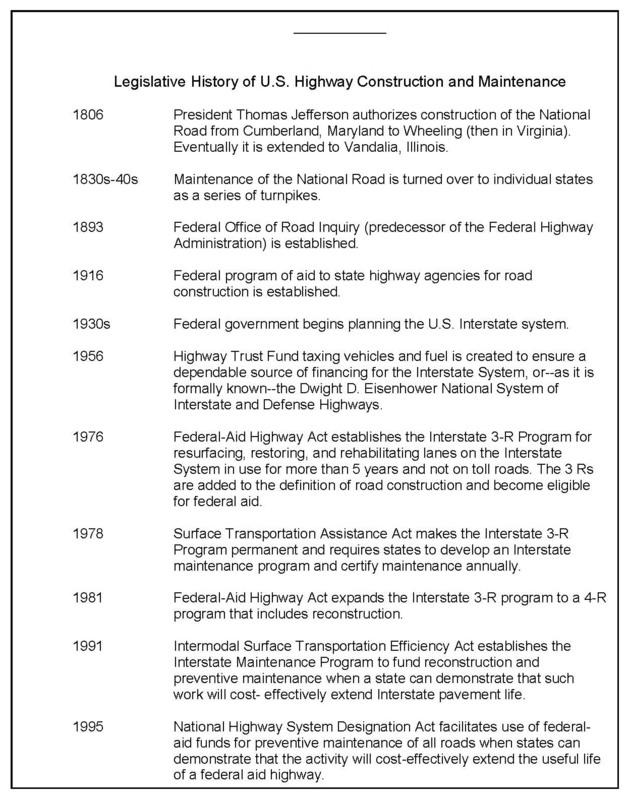 The document mentions the Coalition to Preserve America’s Roads (CPAR), gives background information, describes potential economic benefits, and lists the typical components of a model road preservation program. The Opinion Column Template is a statement by Larry Galehouse, CPAR Coordinator. The statement describes the present wasteful policy of “worst first” practiced by many road agencies at state, county, and municipal levels. Superficially, worst first is politically attractive because it creates the illusion that scarce resources are being used wisely and responsibly, when in fact, the policy is the most wasteful possible because effectively, it waits for an asset to deteriorate to a condition where the only viable treatment is also the most expensive, i.e., replacement or reconstruction. Hence, a worst first policy guarantees that only the most expensive solutions will be implemented and that available resources will never be adequate. The Letter to the Editor Template warns that the “worst first” approach to managing our roads will eventually bankrupt road agencies. Instead, it urges a policy of preservation to stretch scarce tax dollars to the maximum extent and eventually achieve a sustainable, balanced road system. The Trade Publication Article Template begins by mentioning the dependence of commerce on the transportation infrastructure, particularly roads and bridges. It describes the present “worst first” policies as short sighted and unsustainable and predicts that unchecked, eventually they will increase the cost of doing business and decrease the nation’s competitiveness. 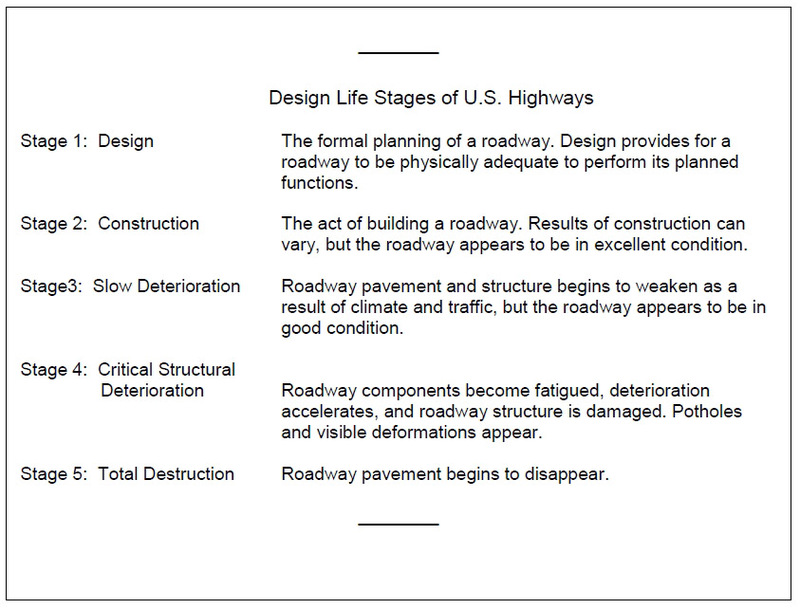 The template concludes by comparing regular road maintenance with regimens of regular exercise and proper nutrition to maintain physical health. The Campaign Brochure is an attractive full color document illustrated by context-related photographs. The brochure, which is directed at a general audience, describes the decline of the nation’s transportation infrastructure and warns of the danger of economic decline. It discounts traditional “worst first” policies and cites the benefits of preservation such as increasing employment, reusing natural resources, and decreasing traffic congestion. This exhibit presents a legislative history of U.S. highway construction and maintenance dating from 1806 when the first National Road was constructed to 1995 when Congress authorized the use of federal funding for preventive maintenance.